Fearing protests by Tamil groups over the Cauvery water sharing row, authorities have turned the M.A. Chidambaram—popularly called Chepauk Stadium—into a fortress for the IPL match between Chennai Super Kings and Kolkata Knight Riders on April 10. 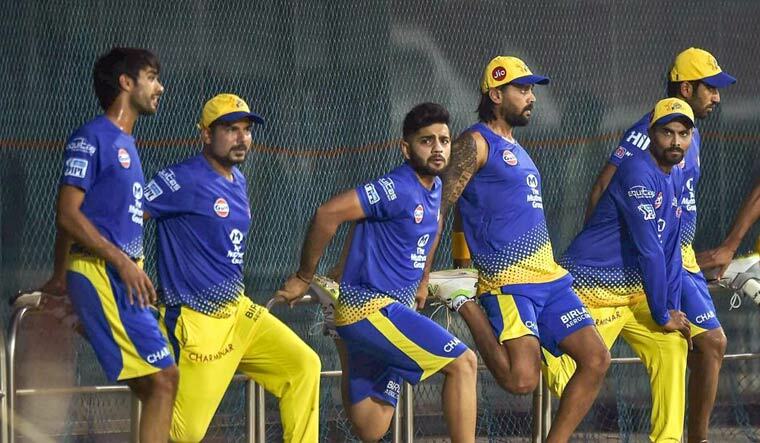 Some political groups have called for banning the match to protest against the Union government's failure to set up a Cauvery Management Board (CMB) and Cauvery Water Regulatory Committee (CWRC). All roads adjacent to the stadium have been closed, and it is likely to cause traffic problems tomorrow. The Tamil Nadu Cricket Association (TNCA) has banned spectators from bringing mobile phones, remote control car-key or any electronic devices, bags, briefcases, pagers, radios, digital diaries, laptops, computers, tape-recorders and even binoculars, along with from the usual list of prohibited items. The tickets are priced at Rs 1,300 each, which is around 30 per cent higher than in Kolkata or Mumbai, thanks to 18 per cent GST and 28 per cent entertainment charges levied by the state government over and above the actual cost of Rs 762. Despite this, Tamil groups led by leaders like Panrutti T. Velmurugan, Thirumurugan Gandhi and others have purchased tickets in bulk. Sources say that these groups together have more than 8,000 tickets. Fearing protests, the IPL authorities and the TNCA along with Chennai Police had issued several do's and dont's for the audience in the stadium. It may be recalled that three of the stands in the stadium, with a seating capacity of 12,000, have been shutdown for years now by the Chennai Corporation as they were constructed without proper approval. According to the police, more than 2,000 police personnel would be deployed at the stadium and, as a precaution, people wearing black colour dress will not be allowed entry. Tamil Nadu Fisheries Minister D. Jayakumar said necessary security will be provided to the IPL organisers. He said it was for the organisers to decide whether to cancel the match or not and it was for the people to decide whether to boycott the match or not. Meanwhile, a group in the Tamil film industry, led by director Bharathirajaa, R.K. Selvamani and V. Sekar, floated an association called Tamil Panpaattu Peravai today. They told reporters that holding an IPL match when the state was fighting for Cauvery river water was an attempt to divide the youth. 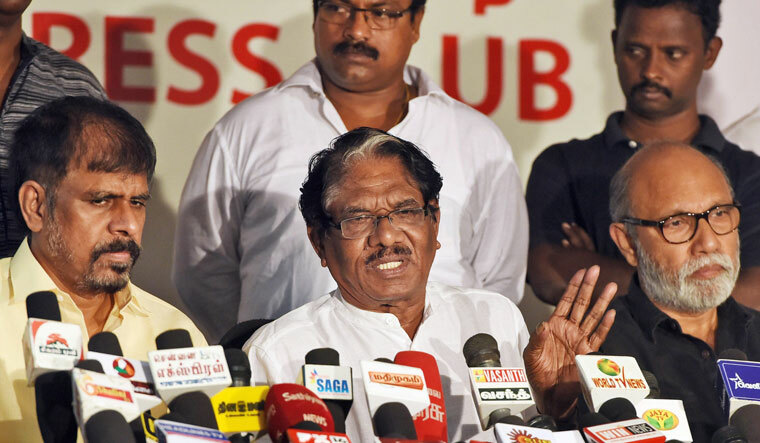 Bharathirajaa said they will hold a protest against the match. Earlier, DMK leader M.K. Stalin said the organisers of the IPL matches should understand the people's problems. But he said the DMK was not against holding the IPL matches. Viduthalai Chiruthaigal Katchi (VCK) chief Thol Thirumavalavan had also sought a ban on IPL matches in Tamil Nadu. Spectators have also been told not to dishonour the Indian flag. No food or drink from outside will also be permitted.